This post contains affiliate links. This means that if you make a purchase through one of my links, I will receive a small commission at no extra cost to you. The prospect of entertaining toddlers and preschoolers on a long road trip is enough to deter even the bravest parent from traveling. Kids can go stir crazy, whine incessantly, drop things a million times, and refuse to nap. Here's the deal though, guys. Practice and preparation make for fantastic road trips with even the most spirited of toddlers. The more you do it, the more your kids know what to expect. And the more prepared you are as a parent with different (independent) activities for them to do, the more you can relax and enjoy the journey. After multiple road trips from Florida to Wisconsin and back, and countless day trips in our surrounding area, we've got long car rides with our baby, toddler, and preschooler down to a science. If you're traveling with a 2 year old by car, you'll need activities to keep them entertained. In my experience, a cross country road trip with a 2 year old isn't so bad if you're prepared. The best road trip activities for little kids are simple, mess-free, and something they can do without supervision. Here are the best road trip activities for 2 year olds, 3 year olds, and preschoolers that I've come up with! We love these books for church, quiet time at home, and especially long car rides. (Really, you can't go wrong with anything from Melissa and Doug). There is absolutely no mess involved, and kids love how the color appears on the page by "painting" it with the water brush. Just be sure to keep some water on hand to refill the water paint brush throughout the trip! Print out this free scavenger hunt, and have your child circle or color the items they see as you're driving along. This game gave me a good hour of quiet time as my four-year-old hunted for the items on her list. Even the two-year-old got involved, although he didn't quite catch on to circling the items. Grab your FREE Scavenger Hunt Printable here! Kids love working their way through the activities in workbooks. I love checking the dollar store for some inexpensive options for road trips, and Amazon has a few great options, too! The only downside - you might need to read the instructions for younger kids who can't read yet, but still want to do the activity correctly. Obviously, my toddler can't read, but he couldn't care less about what the activity is. He just colors and scribbles away! I really like this set from Crayola for kids going into preschool, and this set for kids going into kindergarten. If you're desperate for a break from entertaining them, turn to educational electronic toys. We have this Laptop from VTech which goes through letters, shapes, and music. My kids like to pull this out when I'm working on my laptop so they can pretend they're working, too! Then there's this LeapFrog Scribble and Write tablet for kids. My little ones call it the "green phone", and it has been so helpful for distracting my toddler on long drives while helping him learn to write his letters. I have my big sister to thank for this genius activity! Grab a metal tin or tin lunch box, jumbo popsicle sticks, and a roll of magnetic tape. Write sight words on one side of each popsicle stick with a Sharpie. They can either put together "sentences" or try to recreate the words with alphabet refrigerator magnets. I like this Melissa and Doug set of magnets because they're nice and large to avoid choking. Head to the library for some completely free books on CD to listen to as a family. Remember kids can understand a higher level when listening to a story than they can actually read, so don't be afraid to go with a chapter book! You can also check out Audible for some children's audiobooks to download to your phone! Print out some educational worksheets and put them in a binder for your child to work on throughout the trip. Add a 3 ring binder pouch for pencils, pens, and crayons. You can also put the worksheets in plastic page protectors and let the kids use a dry erase marker to use over and over. I've created a road trip related activity packet that's perfect for toddlers and preschoolers. You can grab it here! Parents of toddlers: have you ever climbed in the backseat of the minivan to find the walls covered in crayon? Just me? Anyway, the Crayola Color Wonder products are awesome because they only show up on the special paper that comes with the set. The Stow & Go set is perfect for the car because they can use it as a mini desk and there's a place to store their markers and stamps. Check out the library for some search & find or I Spy type books. Kids love poring over the pages to find the hidden items and will buy you lots of free time to relax and read or nap. There are great options on Amazon, too. The Big Book of Seek & Find is such a fun one! Ah, my favorite part of a road trip: the food! Finding the perfect snack for kids on a road trip is an art. It's got to be easily portable, not too messy, not too crumbly, somewhat healthy, and something the kids will actually eat. My best snack ideas: apple slices, string cheese (if you have a cooler), dry cereal, bananas, bell pepper sticks, homemade cereal bars, applesauce pouches, homemade mini muffins, Annie's Cheddar Bunnies or Bunny Grahams, Cliff Z-bars, fruit leathers, and animal crackers. There's nothing I love more than getting my kids involved in the planning and execution of travel. Giving them a map of your journey or destination gives them a sense of control when things are very much outside their comfort zone. You can just print out a blank map of the United States or your state, and draw in your road trip route with a Sharpie or pen. Then let them color and decorate the map as you go. If you're crossing through several states you can do more interactive activities like having them draw an X through each state as you enter or leave. You could also print out a map of your route from Google Maps and let them trace along as you go. This will help give them an idea of how far you are on the journey! These bendy, sticky little sticks seriously provide hours of entertainment. I introduced these to my kids in their travel-themed Easter baskets, and they've been creating like crazy with them. It's incredible to see what even my 2-year-old will come up with on his own. Railroads, a road for his cars to drive on, and a basketball. My 4-year-old has been creating flowers, necklaces, letters, and people with hers. They're perfect for a road trip because they don't create a mess and the stick factor helps them stay in place instead of constantly falling on the floor. Check out the Wikki Stix blog for some ideas for using them on a road trip. These are seriously one of the best gifts my daughter has ever gotten, and my son is getting one for his third birthday this year. We use them all the time to keep the kids quiet in church, and they work just as well on road trips. Boogie Boards are LCD writing tablets that come with a stylus for writing. Just make sure to invest in a backup set of styluses because your child will absolutely drop or lose the original. Even though it comes with a stylus clip at the top. My kids are seriously sticker obsessed. If we ever move out of our house, I know I'll have to set aside an entire day to hunt for stickers on every surface. On road trips, we love these reusable Melissa and Doug sticker books because they can't get stickers all over the car seats and windows. Yes, sometimes a little screen time is necessary for everyone's sanity, especially if your trip is longer than 2 hours. On our epic car rides from Florida to Wisconsin, we try limit movie time to after dark, but there are times when we can tell the kids just need to zone out. We don't' have portable DVD players, so we download movies and shows from Netflix to the iPad and strap it to the back of the headrest with this amazing tablet holder. The only downside is making sure the iPad stays charged, so we use one of these super long charger cables. Kids love looking through toy catalogues and dreaming of the possibilities. Tell your kids to circle the ones they want to add to their Christmas or birthday list. If you want to make it more of a challenge, have older kids practice their writing by copying the names of the toys onto a separate piece of paper to make their wish list. Head to the Dollar Store and pick up a cookie sheet or two specifically for the road trip. Stock up on cheap magnets such as alphabets, numbers, shapes, animals, and characters. Give spelling challenges, have them do patters, or just let them run wild with their imagination. You can also teach them how to use the cookie sheet as a desk by putting a magnet at the top corners of their paper to hold it in place. Poke holes in the top of an old coffee can and let little ones poke pipe cleaners through them. The same could be done with an old cardboard box or shoebox, a colander, or an empty coffee creamer bottle. Or, you know, just let kids create whatever they want with the pipe cleaners. This could be as simple as an empty notebook where they record journal entries to a special book with prompts and spots for pictures. There are a lot of cool options out there for older kids, but this one is one of the few I found for the preschool and kindergarten set. We have so many flashcard sets at home with sight words, simple math problems, Spanish words, and shapes, but I hate cleaning them up when the kids inevitably drop them everywhere in the car. Pro TIp: Put them on a giant binder ring so you aren't cleaning up cards at every rest stop. This portable felt board comes with storage and is such a fun option for letting your toddler's imagination run wild! I love reading in the car, so it's nice to establish some quiet reading time for the whole family. Bring your favorite books from home, borrow some new ones from the library, or surprise the kids with a special new book for the trip. Put on some classical music and set a timer for 20 minutes when everyone needs to be looking through a book. If you have a favorite kids' CD or playlist on your phone, blast some tunes and let the kids sing along. We like Disney songs, Daniel Tiger songs, Cantar y Jugar (songs in Spanish), and Seeds Family Worship. Let each child bring their favorite pillow, blanket, and stuffed animal in the car. When it's time for afternoon nap, stop at a rest stop and help everyone get cozy and tucked in. Make sure they have something quiet to do or look at, and establish nap time. They may not sleep, but at least you'll be sticking to your daily routine which helps give the day some structure. Give your kids a few rolls of colorful masking tape or Washi tape and let them pull, tear, and create to their heart's content. If I'm being 100% honest I'm not sure I would be brave enough to let my kids do this. But if you're a fun mom and you trust your kids not to destroy the car, let them color and decorate the windows with these fun window markers! You can clean the windows when they're done with a damp paper towel or baby wipe. I am an avid podcast listener, and often that means my kids are forced to listen along to episodes about moms or business or personal development. That got me thinking...maybe there are podcasts just for kids! Sure enough, there are some incredible options, even for the youngest of listeners. Give each of your children a few bucks and let them pick out their very own road trip toys at the Dollar Store. Then put them away until the trip so they'll feel new and exciting once you're on the open road. The kids will feel a sense of pride and ownership, so hopefully, they'll really take care of and utilize their very own toys. Seriously, you guys. Since we're talking about the Dollar Store, pick out a few cheap calculators specifically for the trip. My kids pretend they're phones which makes them think calculators are cool and exciting. Maybe even teach your preschoolers or kindergartener how to punch in basic math problems! Before you leave, use some colorful tape to create a road, race track, or train track on a cookie sheet or piece of cardboard, and bring along some toy cars and trains to play with. Ball up a bunch of tin foil (again, the Dollar Store is great for this) and let the kids mold and shape it however they want. Of course, this isn't great for really little kids who put everything in their mouth, so use your best judgment on which ages this is appropriate for. I would be remiss not to mention this classic toy for road trip fun. This little travel sized one comes with stamps and a "pen" to create masterpieces. For really young kids, choose simple games like "Guess which animal I am." You can make noises or describe the animal. For older kids, you can do more challenging things like "Guess which song I'm humming." or "Guess which food/plant/place I'm describing." Of course, this game is better suited for grade school aged kids, but you can definitely make it work with the little ones for lots of laughs. Mad Libs Junior books give lists of silly words to choose from, and The Pinning Mama has some free printable Mad Libs Style Stories for Preschoolers. "I spy something (insert color)," is a classic road trip game. Though incredibly dull for Mom and Dad, kids love making their parents guess what they're thinking. The nice thing, though, is that even the youngest in the car can get involved. 99 bottles of milk on the wall, the Wheels on the Bus, the Ants go Marching, This Old Man, Down By the Bay, and if your kids like Jake and the Neverland Pirates, try the Roll Up the Map song! We like to listen to Coffee Break Spanish podcasts, since I'm a former Spanish teacher. They have other languages, too, like French, Italian, German, or Chinese. These start from the very basics, and keep my kids engaged during long car rides (and I like learning along with them!). You can also find language learning CDs from the local library! Prepare a jar of discussion questions written on scraps of paper ahead of time. Take turns picking questions out of the jar and answering them as a family. Some ideas: What's your favorite (food, animal, treat, toy, movie)? What would your superhero name be and what powers would you have? What makes you (laugh, cry, mad)? What's something you're really good at? 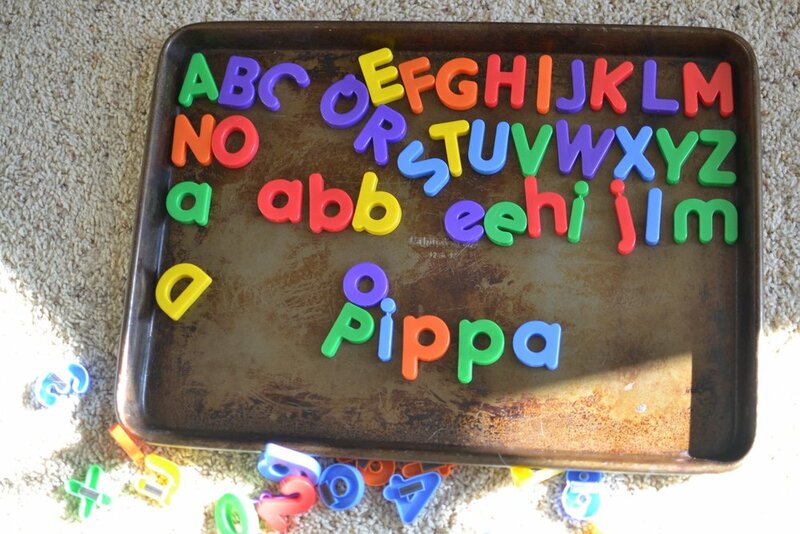 Look for the letters of the alphabet in order verbally, or have the kids cross them off or circle them on a sheet of paper as you find them. Look up jokes for toddlers or preschoolers on the internet and write them out ahead of time, or check your local library for kids' joke books. Here's a great option for kids in preschool to grade 2. Or just let your kids make up their own jokes. Obviously , the jokes will make no sense, but the kids will have a blast doing it anyway! Set the timer and see how many red cars you can count in 1 minute. You can do the same for cows, buildings, trees, birds, or whatever object you can think of. I "invented" this game when we were stuck in the doctor's office for over an hour with no snacks, toys, or games. We took turns picking a letter and just listed all the words we could think of that start with that letter. Props to you if you can get your kids to go for this one! We all know how this works. The person who can hold out the longest without making a noise wins! Raise the stakes by offering a snack or "new toy" from the Dollar Store to the winner. This can be played two ways. 1.) One person is "it" and tries to make the others in the car laugh by any means necessary. Everyone else has to try to keep a straight face! The person who can go the longest without laughing wins. 2.) Two people play against each other and try to make each other laugh with or without sound (you choose). The first person who laughs loses. We do this every night at dinner, but it would make a great end of the day road trip discussion. What was one good thing that happened to you today? What was one bad thing? I've also heard this called high/low (the high point of your day and the low point of your day). Keep a clipboard in the car, and at the beginning of the road trip choose an official object that you're going to keep track of. How many school buses will you see on the trip? How many deer? How many Montana license plates? Once you've chosen your object, have everyone make an official guess, and write down the guesses. During the trip, take turns being the official scribe who keeps a tally of the items. At the end of the trip, see whose guess was the closest! Share the story of how Mom and Dad met. Tell them about your study abroad adventure in college (the PG version). Share a funny story about when you got in trouble as a kid. Kids LOVE hearing bits and pieces of their parents' lives. Then let your kids tell their own stories (the time they scored a goal in soccer, the time they learned to ride a bike, their first day of preschool, etc). Warning: if your kids are anything like my daughter, these stories will last for approximately 47 minutes each. What did I miss? What games or activities do you do on road trips with your little kids? 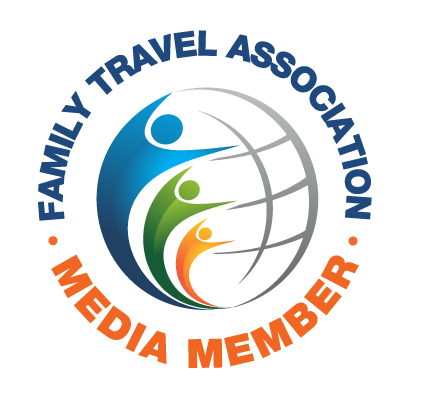 Want to travel more as a family? Sign up for weekly travel tips and inspiration!